The BAMIT Capstone is a great opportunity for MIT alumni and others to make a meaningful contribution to both the present and future of diverse education at MIT. Our goal is to announce record levels of participation. We have various categories of giving detailed below, as well as opportunities to sponsor program segments. Gifts can be made via credit card, PayPal or check. More details can be found at the bottom of this page. No gift is too small. And, as always, your giving is tax deductible. Shirley Jackson (center) at MIT the year she earned her PhD in physics, 1973. MIT was the first university in the United States to offer a degree in Architecture. An architectural element describing the finishing stone at the highest point of a masonry structure is often called a Capstone. Hence, a Capstone describes a crowning achievement. On the 50th Anniversary of the founding of the Black Student Union at MIT, we honor the commitment, sacrifice, and achievement of Black students. Pay online via the link below or email treasurer@bamit.org for more information. Linda Sharpe, Charles Kidwell and Peter Richardson, Director of Admissions. Son of a freed slave, Robert Taylor was the first black graduate of MIT. Taylor received a degree in architecture from MIT. His first designed and erected brick building was the Science Hall on the campus of Tuskegee University in Alabama, which was constructed by hand by Tuskegee students. His descendants include great-granddaughter Valerie Jarrett, who served as a Special Advisor to President Barack Obama during his two terms. Reunion of early black alums at the BSU Lounge in February 1973. Pictured left to right: Arthur R. Blackwell '51, Robert P. Pinckney '52, Herbert L. Hardy '52. The first black women to graduate from MIT are Shirley Jackson, who earned a Bachelors, Masters, and PhD degree in Physics, and Jennifer Rudd, who earned an MIT degree in biology and then received an MD from New Jersey Medical School. Dr. Jackson is currently the President of Rensselaer Polytechnic Institute, and Dr. Rudd operates a medical practice in New Jersey. 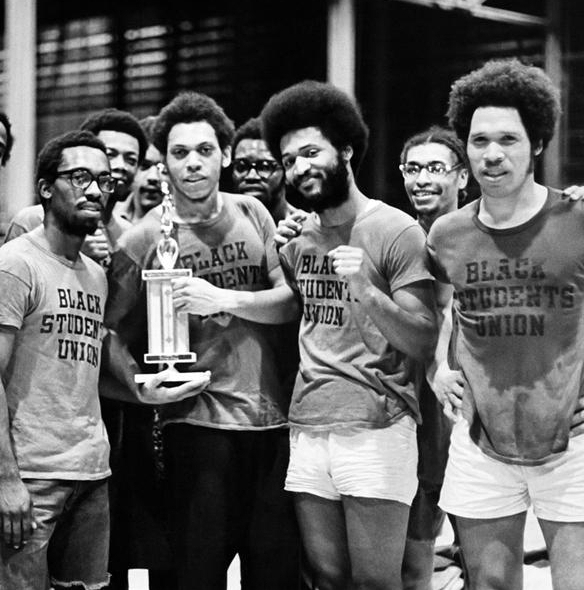 Black Students' Union Intramural Basketball Team the year the BSU was established, 1968. Located in Walker Memorial with a prized view of Memorial Drive and the Charles River, this room has served as a safe place for students of color to meet, study,and be themselves. The brothers (and sister) of Chocolate City, 1986. Since its inception in 1974, the Office of Minority Education (OME) has served multiple needs of students of color. The first person to head the OME was Wesley Harris, who at the time was a new professor of Aeronautics and Astronautics. He continues to be a passionate advocate for undergraduate and graduate students at the Institute. DiOnetta Jones Crayton is the current Director of the OME and has been recognized for her great efforts to foster diversity and inclusion on campus. Pedro Donaire Polanco '17 at the Walker Memorial Basement Radio (WMBR) station, 2017. 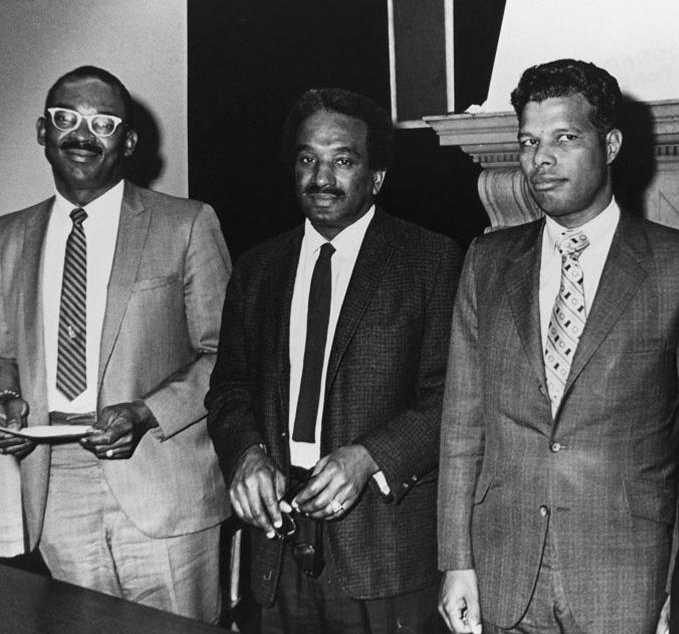 The book Technology and the Dream grew out of the Blacks at MIT History Project, whose mission was and is to document the black presence at MIT, spearheaded by Professor Emeritus Clarence G. Williams, the book’s author. The first volume of a two-book set, it chronicles the stories of 75 individuals at the Institute between 1941 and 1999 – from Black students to faculty, administrators, and staff– who had a positive impact on the life and experience of Blacks at MIT. Each sponsorship level includes publicity as a sponsor in all media associated with the BAMIT Capstone weekend. Additionally, sponsors will receive one or more complimentary seats at the Capstone Gala, and a special commemorative gift in gratitude of their generosity. The Capstone and Robert Robinson Taylor levels additionally include an invitation to a private reception during the conference, premium seating at the Gala and Presidents' Panel, and a limited edition commemorative gift from BAMIT. We also have several opportunities to sponsor other events, including the Saturday lunch, the Gala reception, and the Sunday brunch. More information can be found in our sponsorship packet. Please make donations by check payable to: Black Alumni/ae of M.I.T. Sign up with your email address to receive news, exclusive updates and unique opportunities. We respect your privacy and honor your committment. The Black Alumni(ae) of MIT is a tax-exempt public charity under Section 501(c)(3) of the Internal Revenue Code. Contributions to BAMIT are tax deductible to the extent provided by law. © BAMIT 2018, All Rights Reserved.